After crossing US 5 down in the valley, US 2 climbs to the top of the hill and meets Alternate US 5. 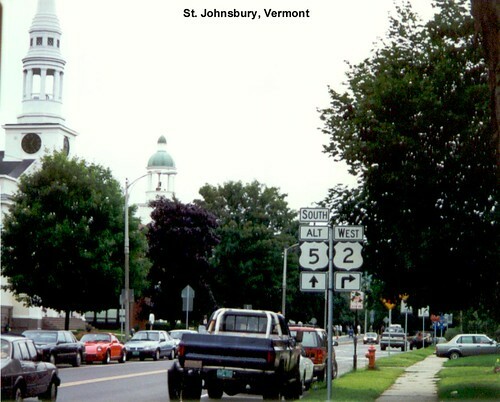 Another view of US 2 in St. Johnsbury. 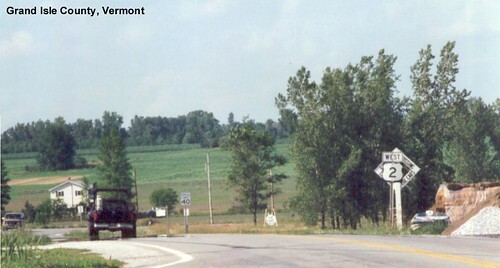 The junction of US 2 and VT-15 in West Danville. 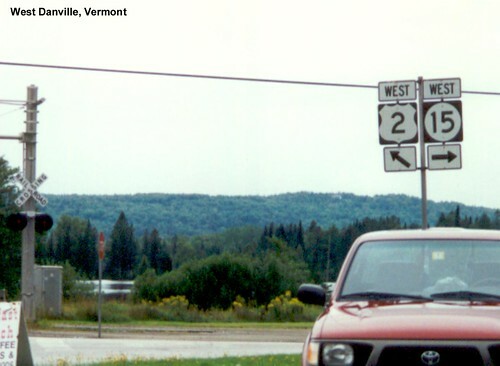 West of Montpelier US 2 parallels I-89 and so carries mostly local traffic. 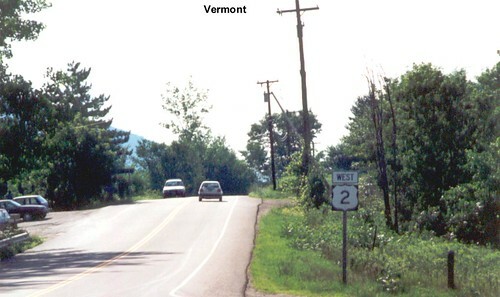 US 2 meets US 7 in Burlington, and then the two routes divide again a bit further north. 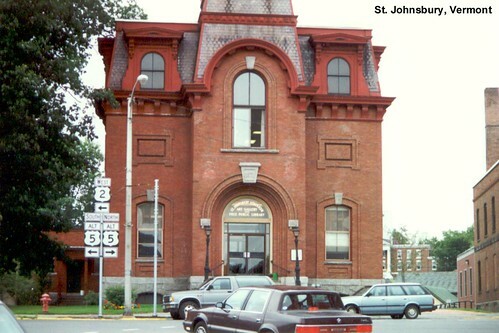 Notice the old railroad crossing sign peeking from behind the US 2 shield. Another look at US 2 in Grand Isle County. This was a very scenic part of the ride on US 2. 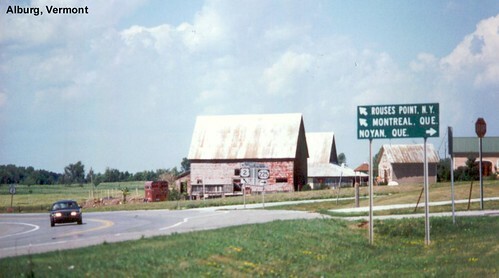 The last few miles of US 2 in Vermont run very close to the Quebec border.